Just a small website to promote my new album. Go buy it! I’ve been working on a generative WebGL music video on and off for the past few weeks, and I needed a good way to synchronise visuals to audio. Realtime audio analysis can be useful, but it isn’t always precise enough. Since I’m creating the music as well as the visuals, I decided to export the music as audio and MIDI, so I could use the MIDI NOTE ON events to trigger animations. This experiment uses machine learning to organize thousands of everyday sounds. You can use the sequencer to create beats using these sounds. A WebGL-powered framework for visual exploratory data analysis of large datasets. An interactive guide about music theory. I’ve finished building a performance synthesizer based on the Axoloti Core board a while ago, and hadn’t found any time to document it yet. So finally, here’s an overview of the build process. Lovely sound art piece. 100 metronomes performing Poème Symphonique by György Ligeti. The new Android mode in Processing has support for Google’s Cardboard VR. A hybrid visual IDE for creative coding to easily create projections, interactive spaces, custom VJ tools, sonic performance instruments, media for theatre. A new pen plotter made by Evil Mad Scientist Laboratories. It’s a really precise machine, and it even works with fountain pens. A new platform for open-source fonts in a noise-free environment; to highlight their beauty and encourage further exploration. If you like my blog, you should consider buying one of my books. 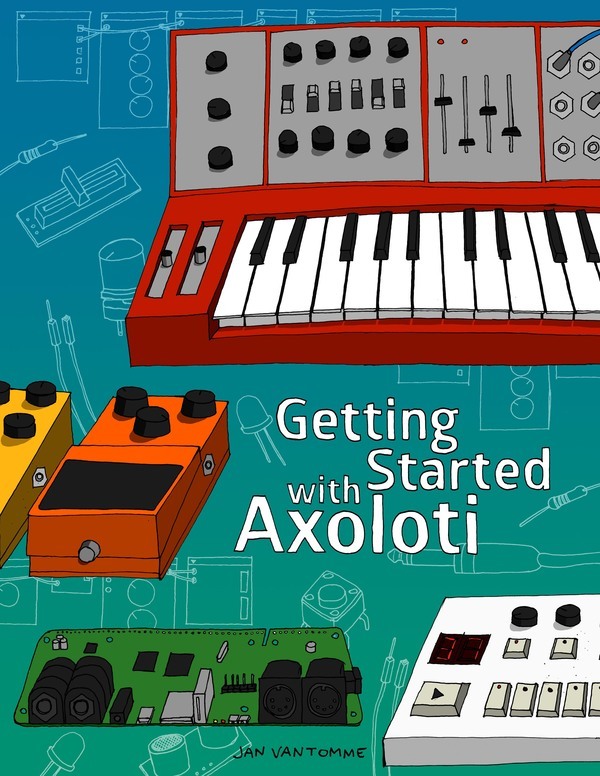 Learn to build synthesizers, drum machines, audio effects and other weird instruments with the Axoloti platform. My first book, published in 2012. 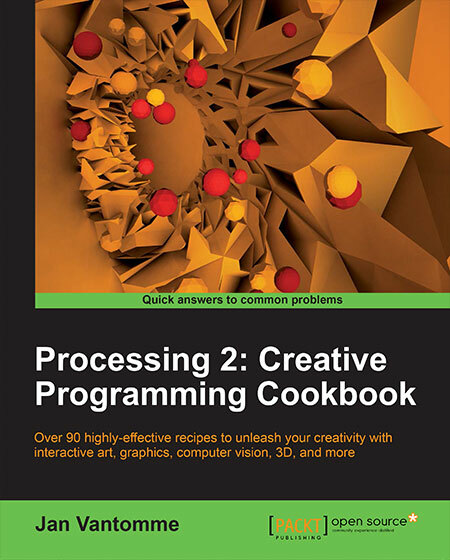 You'll learn the basics of the Processing programming language.